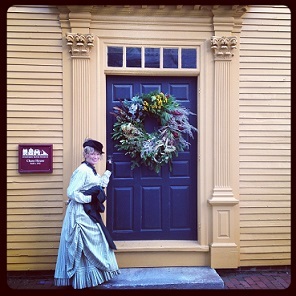 Strawbery Banke is one of New England’s favorite outdoor history museums where costumed role-players entertain and educate visitors with real stories from the people who lived in this historic neighborhood. The museum is set on ten acres in Portsmouth’s Puddle Dock neighborhood, and most of their thirty-two historic houses are set on their original foundations, the earliest of which dates to 1695. 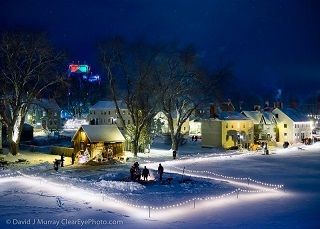 Strawbery’s Banke’s annual Christmas celebration, Candlelight Stroll, is a must-see for visitors to the Portsmouth area, dubbed “The Christmas Capital of North America” by Travel + Leisure. Candlelight Stroll transforms the museum into a festive winter wonderland that remains rooted in Strawbery Banke’s educational mission.